We all at some point are going to take on too much in our lives. And you have a couple of choices at this moment. You can ignore the load and bear the weight and become ineffective in some area of your life, or you can start using a word that will give you back some life. yeah, yeah. We, we complain about the things that we really don't want to do anything about sometimes. Right? Like, and so we talk about margin of course, one of the chapters of your book entitled Leadership Beef Jerky, which is essentially principles and practices to chew on love that talks about margin and. And you talk about that. We live in this herniated disc experience around margin. Explain that for me a little bit. 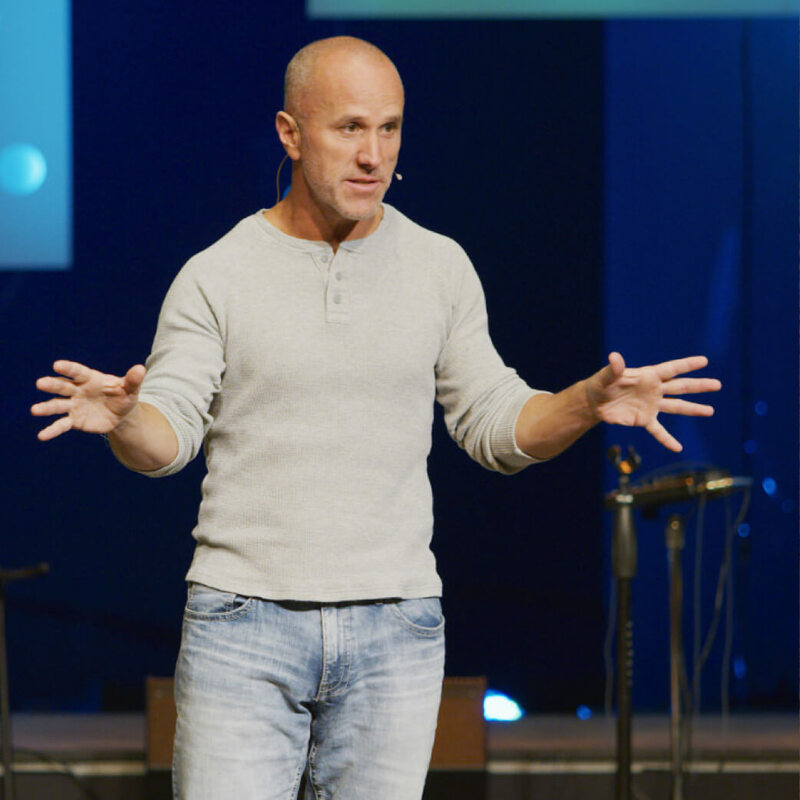 when I'm talking about is, is that we have no room to embrace opportunities that come our way and we treat them like an intrusion, Scott rather than as opportunities from the Lord. So when we talk about the distance between load and limits, our limits have to do with our capacity or capability, our responsibilities, uh, things that we know we need to do that kind of defines our activity of our life, not just our family but our life. And so consequently, and some of it may be bad decisions we've made or consequences of actions that we've taken that have limited our ability to respond to opportunity are a load has to do with obligations, responsibilities, commitments, and duties. So when those two are load, it reaches to a point where it's touching our limits. We have no margin. Yeah. And so, you know, one of these, one of these pieces I think that, that I think that I even deal with in my life is understanding when those intrusions come my way, they're just creating more pain, kind of like a herniated disc, right? I mean, it's something that we want to do. It's something we'd like to do, but we feel we have no time to do it. So, uh, we get angry actually about it, thinking that I've just got too much going on in my life. Why do people keep coming to me and asked me to do these things? I just have no room for it. And the second thing is, is that these opportunities that God sends us are meant to go ahead and help us live a, always wired us to be enough. We have no margin. Whose fault is it? Yeah. You know, one of the, one of the stories that I reference in 30 virtues that build a man is the story from mark six were essentially what's happening is we have the feeding of the 5,000, right? Everybody's exhausted, everybody's exhausted. Jesus is even tired and he recognizes it, but he goes ahead and he feeds the 5,000. They think that they're arriving at a desolate place to rest. There's no rest. There's work for an entire day because they're feeding these people. And then at the time these guys, you see them respond to it. Just send these people away. Their, their response isn't to feed them. They, they, it's an intrusion. Yeah. It's another obligation. I'm not equipped at this moment to handle because I'm just too busy or I'm, my life is too full or I've got too many things I got to do. Yeah. So what is the, I mean, I, I heard you in your own book, respond to this whole idea of margin. I think it's right on, you know, um, I know you quote Richard Swanson in your book in regards to load and limits and kind of the need for margin. I remember years ago listening to Richard Swenson speak and he grabbed a rubber band. I don't know if you ever seen him do that and he talks about load and limits and he stretches us rubber band out and he says when it gets too tense, like you're talking about intrusions in our life, eventually we can't flex anymore because we have no margin. Eventually the rubber band snaps when we pull it too hard. I think a lot of guys are on the verge of snapping. So how, how do we encourage guys out there that you and I are mentoring? What do we tell them to do to create margin in their life? Well, the only way to create margin in your life is to reduction either reducing some aspect of your load or reducing some aspect of your limits, and the only way you can do that. Now that may seem kind of trivial because they're saying, oh, another guy telling me I have to reprioritize my life. How many times am I going to go around that barn, but it's not reprioritizing. It's reducing and how do you reduce your load or your limits. It's by coming to some conclusions about what hills you're prepared to die on, what hills God may be situationally requiring you to bleed on, and frankly what hills you shouldn't be climbing at all until you make that decision. Until you move from shotgun, the laser beam and have clarity about those issues, you'll have no idea how to reduce the obligations that you have or the limits or reduce the load. Yeah. So it sounds like it's just real simple. I mean, yeah, I think guys do get tired of hearing the same thing over again, but we need to hear things multiple times. It's about saying no to the wrong things, right to the right things. It's about prioritization and looking at the things that we really truly value in one out of life. If, if life is driving us to insanity, then something has to change. I mean it's about choosing to instead of trying to live a balanced life is to live a centered life. If we're striving, okay, I like that I that is really good. Instead of a balanced life, a center life, I mean if, if we strive for balance, which oftentimes a lot of time management seminars is all about striking a balance and that's why they. They focus on setting up priorities in the rest, but if you can look at it this way, it's like walking a high wire. We're trying to get from point a to B and so we're hit by the winds of conflict or decision on the right or the left, but we're just trying to maintain balance. We're just trying to get from point a to B and so our bodies are under anxiety, we're under tension, and that's how we live our lives. If we live it from a perspective of balanced rather than centeredness, centeredness as like a spinning top, you can, once it's spinning, it finds its equilibrium at the core. You can hit it at any direction in is going to, it's going to be straight, it's going to straight up. It's going to continue to, to, uh, to move. So the idea is you have to make a choice about am I going to try and live a balanced life, which you'll spend all of your life reprioritizing, reprioritizing and more reprioritizing until you're sick and tired of it. But the idea of living a centered life is putting into place those things that are going to give you the capacity to embrace opportunity when you live from the core instead of, from something else. Yeah. So you're digging a little bit deeper than just making decisions about your margin, right? It's not just about your margin, it's not just about the urgency of the moment. It's not just about the immediate things, it's about digging a little deeper, getting in tune with what do we really want to accomplish, what our values are, what our real goals are, driving a little further and getting centered as a whole, being really what it is. but interesting but interesting. I wouldn't have to hear a word that you said, but after three weeks with some degree of surety, I'd be able to tell you what you truly believe in, what you truly valued. Because your behavior always reflects what you believe in value. You may fool somebody for a season. Yeah, but over the course of time, you will always default to the core of who you really are. So just watching your behavior over time will indicate it. Yeah. Yeah. So this is interesting. So I, you know, I, I don't know what you think about this, but sometimes I am always like thinking about why am I spending my time doing this, this, this, this, or why am I letting other people decide for me what I'm doing when I'm doing this, this, this? Well, you know, having the strength of your own convictions gives you the capacity to be able to say no without feeling guilty. There we go. See? And, and, and also to say no without justifying why you said no. do I think? They've got convictions, but it's hard for them to articulate and the trouble is when you've not decided what's going to stand in authority as we were just discussing over your beliefs and your values, you'll have conflicting convictions that will interfere with one another. One day you're making a lot of bold decisions, honorable decisions. The next day you're making despicable ones and you say to yourself, how could they reside in the same soul? That's because they're battling one another because there's nothing there to order them. There's nothing there to focus them and until you consciously make that decision, Jesus Christ and his word is going to stand as an authority over what I believe in value. No matter what. Until you're ready to make that conviction, then you're not going to find order in your life. You're not going to find a center. This. You're not going to be able to create margin. Now, the other interesting thing about margin is margin isn't there, just to fill up with something else when she. Yeah, it. Which guys do, you know? Uh, we deplore a vacuum, right? Nature, the floors, vacuum, so we constantly will fill it with things once we find some time we've got available, but the fact of the matter is, is that we have to develop the discipline of making sure that that margin is there to situationally respond to the opportunities so that we have room in our life to answer God's call for that moment in that particular point in time for the season called us to do it. And then when that's over with, not to just fill it with something else, but to keep it open for the next thing that got me have. Okay. So let me, let me close off with this question here, which is, um, I, I, I wonder what it looks like when a guy is functioning with great margin. Have you ever seen someone function with just the right amount of margin? Not Too much. We don't want laziness, but a driven man with conviction that has appropriate levels of margin. How does his life look different? That's used for one thing. He's attractive to other men because he seems to have his act together. Yeah. And he's not driven by the winds of Sea of chaos and they disabled to respond rather than to run from the difficulties in his life. So there's a semblance of calmness, peace in his soul and he knows what to say yes to and what to say no to. If I already asked you the question, Vince, of, of, you know, when it comes to creating margin, are you able to say unequivocally what hills you're prepared to die on? Yeah. You know that. That's a great question. And I think I am. The older I get, the more narrow my focus has become. I, it's been really challenging. I think it was really challenging for me in my twenties to even be able to articulate. It was a very young Christian. Uh, I was very fresh as you know, my story. I was very unmentored right in my thirties. I think I was a little cockier I think I thought I had life figured out, but still at that point I was transitioning, trying to understand what it meant to transition from job to career, from doing things to a calling from really understanding what are the convictions I want to die for in this lifetime. I believe in my forties is when I had the big transformation, to be quite honest with you. I think it was in that moment that I started to get a lot more narrow on my values, my vision. Was there something that catalyzed it? Was there some crisis that came into your life or a reckoning or, or an awakening? Yeah, that's a great question. So I think some of it was, uh, the death of my mother. So about 15 years ago, my mother died, um, the, uh, trying to understand my, my childhood with a, I would say a very absent father who was never around and me really beginning to dig a little deeper beyond just the things that I do. It was trying to figure out the man that I wanted to become. And related to that was I started having kids, right? So here I am, I'm in my twenties, I got kids, I'm in my thirties, they're growing up, and then I'm beginning to question my own ability as a father, as a man, as a leader, as a husband. And it was right then in that reckoning that I started to do the deeper work. It's who do I want to become, not just who am I being in this moment. It's what I want to become. And I think that lead to deeper and deeper conviction. Of course today I'm 47. I would say that I probably have stronger convictions today than I ever have. I'm still growing. I'm still learning as, as, as are you. I mean even you sitting here with me and the mentorship that you've poured into me through podcasts or your books through your life, through the decisions you've made is ways that I've grown and so I'm taking this in all the time. And then I've had to cut things out along the way to live down that trajectory more and it's been hard. I would say I'm a guy. 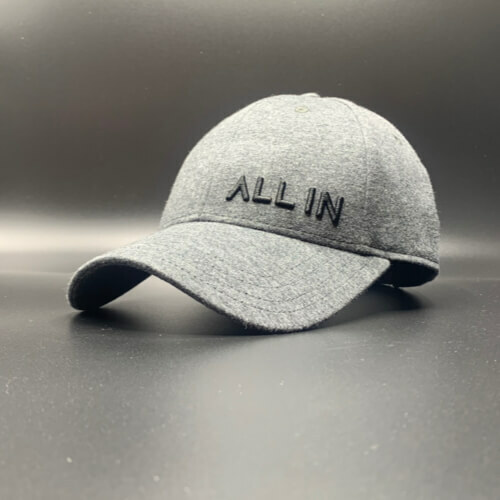 It feels like I can do anything and I can do anything well, and I've realized that is not true. I cannot be a jack of all trades because it will only lead to being a master of none. You know, I'm entering my seventh decade, uh, this month I'll be 70 years of no, seriously. It's amazing. You look great for Saturday, just so you know, you do, you your sharp people, but, but in any case, you know what I've witnessed in the lives of men and in my own life. It's not always something. You have to sit on the edge of your bed waiting to happen. That awakening God knows at the right moment to go ahead and awaken you. I've, I called it the quickening. It's the spirit of God who knows that. All right, you're finally fed up with doing things your way. You recognize that the things you've invested in it isn't going to produce the kind of results you had hoped. Yeah, you're ready to go ahead and hear me, my still small voice in your life, which will always speak profoundly to your soul. there was something unique about him as a leader, wasn't there? I mean, we all know that in this text in mark six, Jesus is tired too, but there's something that says, I got a little bit more to give in this moment and it's peaceful and it's calm and he's not urgent about it. He says, what do you got? Yeah, well what resources do you guys the demands when he was ministering to 5,000 and what does do? He gets in a boat and it goes on the other side of the lake. The disciples come to find them probably wondering what well we got ministry to do and he says to them very clearly, don't you understand? I need to be about my father's business. So he has driven by purpose, not by demand. There you go. And there's a man with margin driven by purpose, not by demand. Living beyond the herniated existence that we have. There we go. So guys, thank you. First off, Dr Greg Borg on for being with us. We're so privileged to have you. Happy Birthday. 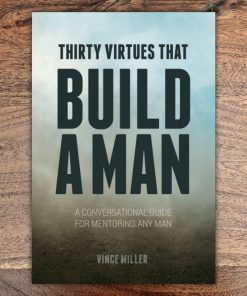 And the guys pick up your copy of 30 virtues that build a man. You can do that right on the website today. We hope that you'll invite discussions with other men just like we've been having here. Uh, this is a great sparring session for making a man better, right to men, God's word, maybe a conversational guide or two to get you going. A want to encourage you to do that today. And we'll see you right back here next time on another edition of Montauk.